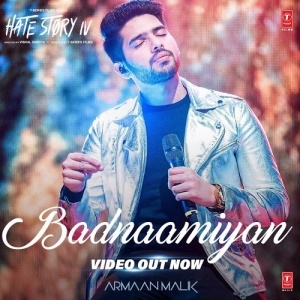 Badnaamiyan Lyrics by Armaan Malik is latest hindi Songs sung by Armaan Malik from the upcoming movie Hate Story 4. Lyrics of song Badnaamiyan has been penned by Rashmi Virag while music of song has been composed by Baman Chand. Video of Song has been starred by Urvashi Rautela & karan Wahi. Song Badnaamiyan has been released under the label of T-Series.